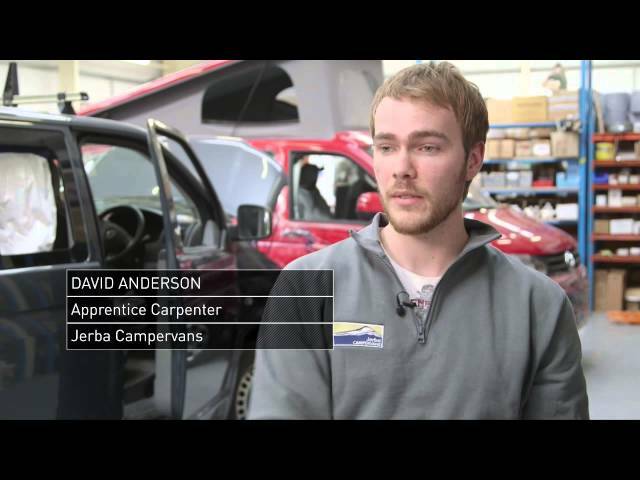 See how Jerba Campervan's journey to growth unfolded with support of our Scottish Manufacturing Advisory Service. Jerba Campervans is renowned for punching above its weight – a small business that thinks and behaves like a much larger company. Over the last 10 years, Jerba Campervans has established a reputation as a leading specialist in the luxury campervan conversion market. The East Lothian-based business was set up by a husband and wife team in 2006. It recently engaged with the Scottish Manufacturing Advisory Service (SMAS) to seek support and guidance with growth plans that would see the company relocate to larger production facilities, and ultimately grow their business. Simon Poole, managing director of Jerba Campervans said, “Working with SMAS has been an extremely positive experience for the business. "Having access to the experiences and expertise of SMAS practitioners has enabled us to look at our processes and environment from a fresh perspective and make meaningful changes to the way we do things. Having travelled the world in a campervan with a young family in tow, Simon and Cath were perfectly placed to know exactly how best to make a campervan fit for purpose. Inspired by frustration with their previously owned and hired campervans, in 2005 they set out to create something that had a design and layout to complement every adventure. Having spent countless nights in a variety of vans in the name of research and perfecting the design process over the last 10 years, the company now offers five distinct interior layout options. Potential customers have the opportunity to experience practical, luxurious layouts by hiring one of three expertly converted campers before committing to buy. Growth over the past decade has been recognised by official affiliations with van manufacturers and the award of a European Union licence that allows Jerba Campervans to manufacture in any member country. Such recognition was no accident. The company has consistently focused time and effort into strategic planning, investing in the implementation of innovative IT management tools and machinery to help better productivity when creating their bespoke products. Engaging with SMAS in previous years had also helped Jerba Campervans to implement lean principles across the business to maximise value and enhance quality. Continuing to operate with the highest standards and with ambitious growth targets to achieve, in March 2015, the company invested in a purpose-built manufacturing facility that would allow annual production to increase by a third, while building on its reputation for quality. SMAS practitioner Gerry Borge worked closely with Jerba Campervans to identify ways in which processes across the board could be further enhanced to make the new facility as efficient and productive as possible. He said: “We built a two-day workshop that was designed for all of Jerba’s staff. The primary focus being on introducing everybody to the concept of lean thinking and creating a deep understanding of how it could potentially benefit and transform the business. “The principles of lean thinking were then applied to the design process for the layout of the new premises. This included simulations to assist in the positioning of equipment and work stations, as well as assessing storage arrangements to ensure materials were readily accessible at the correct stage of the manufacturing process. Think a manufacturing review could help your business?